﻿ Dr. Pete Camiolo is currently partners with Dr. Axe on the10xdoctor.com. He has worked with the US Olympic team and NFL players and other pro athletes. He currently helps natural care physicians to succeed in their practices. 3:00 The Dr. Axe connection, radio show, and business partnership. 5:30 Dave's introduction to natural care when his wife Michelle had a neck problem. 7:50 On Chiropractic. Your spine is responsible for controlling your whole body. It needs to be in the right position or your body isn't performing optimally. 12:00 Dr. Pete's experience with his brother Jonathan. A real world case study on the power of integrative medicine and natural care. 21:00 How the current health care system is like a tree. 24:30 There's more farmers markets and organic foods available, yet the national health problem is still huge. Medications were never designed for long term use. 25:59 There are three things that cause your spine to be out of alignment, the three T's: Trauma, Toxins, Thoughts. Traumas can be big or small. Accidents, being sedentary, pregnancy, sports injuries etc. 28:28 On Toxins, diseases, and new conditions and diseases. 30:11 On thinking. "Stinking Thinking" can change your body's chemistry for the worst, or positive thinking can change your body for the better. Science has proven that our neurology is shaped by our thoughts. To get well, you must think and believe you can get well. 32:22 Human beings are not designed to take in as much information as is available in our society today. 32:40 On spinal integrity and adaptogens. 36:00 Action steps to put yourself solidly on the path to better health and weight loss. -Remove the interference. -Think about what in your life can you remove. Just one thing. Examples: -Something you drink. -Bad snacks, at the wrong time of day. -One goal, one action. 41:24 To win, one goal, one action is enough. If you have 12 goals written down chances are nothing will happen. 41:47 The One Thing podcast. 43:45 How do we pick the best thing to master before we move on. Make a list of current areas of improvement in your health, rate them on a scale of 1 to 10. Find the area you are weakest in and work on that for 90 days. 45:30 Pick new habits that you love. 46:00 Make SMART goals: Specific, Measurable, Attainable, Realistic, and time bound. Reward yourself at the end. 47:24 to connect with Dr. Camiolo, just reach out to him on Facebook! Subscribe to the podcast in iTunes! 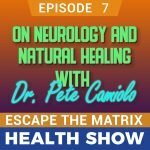 https://itunes.apple.com/us/podcast/the-escape-the-matrix-health-show/id1313550845 Right click here and save as to download this episode to your computer. Intro: These ideas took 7 years and over 100,000 rapid weight loss customers so hopefully there's meaningful nuggets here that will work for you! 2:18 People focus on results, not behavior. Those who focus on behavior reap the rewards not just of weight loss, but a huge increase in overall health and activity. 3:10 Lindsay's story and goal to lose 100 pounds. 90 days of great behavior with no results! But she stuck with it and lost 35 pounds in the next 30 days. Sometimes weight loss takes a long time. 7:29 Lack of education. There's too much information out there on health and nutrition. The key is to find out what really works, and most importantly, what works for YOU. 8:26 You can't out train a bad diet. It's 80% diet, 20% exercise. 8:53 You have to educate yourself. Listen to good podcasts, read good books etc. 7:15 Next problem: Lack of movement. Many people don't find an exercise regimen that makes their heart sing, they try to achieve good health while detesting exercise. 10:37 Bad influences. If you can't change the people around you, change the people around you. 13:24 Strike while the iron is hot! Ride your waves of high motivation for as long and as far as you can! The power of "power ups." Short term, massive changes in behavior. 14:38 Every 5 pounds makes a huge difference! https://www.youtube.com/watch?v=oq8bvXbZtuk 15:05 I learned that in order for dieters to achieve their weight loss goals they need to be truly faithful in following the protocol. 16:06 Another factor that contributes to their success is proper meal planning, and sticking to it. 16:38 I have also observed that those with positive attitude are happy even with small weight loss. They still stick to the protocol. Those that get disheartened when they do not see results right away are the ones that quit easily. 17:07 The biggest challenge is sticking within the calorie count. Preparation is key. 18:06 What things are they NOT telling you or being honest with you about do you think? -People who are saying they did not lose a single pound even after a month most probably did not stick to the protocol. They say they did follow the plan, but I am pretty sure they skipped a thing or two because it is merely impossible not to lose even a single pound, with the 800 calorie plan especially when you are doing it for a month. 19:39 To make sure you are being honest with yourself, use an app like My Fitness Pal just for 3 days and enter everything you eat. It is often enlightening to see just how much stuff you are really putting in your mouth. 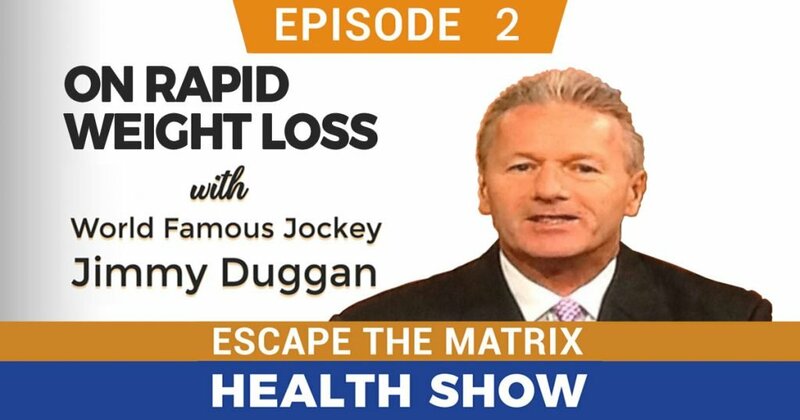 20:50 More on the Magic of losing 5 pounds... https://www.youtube.com/watch?v=oq8bvXbZtuk Subscribe to the podcast in iTunes! 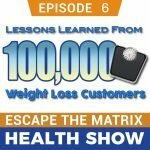 https://itunes.apple.com/us/podcast/the-escape-the-matrix-health-show/id1313550845 Right click here and save as to download this episode to your computer. 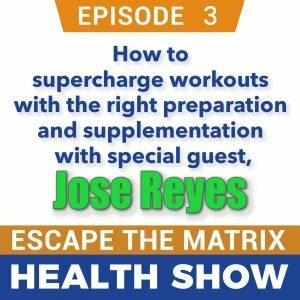 ﻿ This episode was recorded when I interviewed Jose Reyes of DAS Labs in episode 3, but was too long to fit in that episode. I asked him about each principle in Formula 7, and he gave some great nuggets and ideas on each principle. So, I thought it would be best to break this out as a stand-alone episode. Enjoy! 2:00 Hydration. Keep water with you! Drink every time you eat. Shoot for a gallon a day. Try electrolyte balancing. It also adds some flavor. 4:36 Eat SLOWLY and mindfully. Being full is a chemical reaction. When we feel full, we are probably over full. 6:36 Hara Hachi Bu. Eat only until 80% full. Reese's monkey experiment where one group of monkeys were calorie restricted by 70% over the control group, and had measurable overall health. 8:14 Develop a personal supplement strategy. Buying supplements puts skin in the game and helps your commitment. Adjust spending on unhealthy foods and put it into healthy supplements instead. 13:38 Macros: Eat the right amount of carbs, protein and fat daily. Track your intake for just one week and see where you're really at. 16:00. Get 5-9 servings of fruits and veggies daily. Jose's cheat is cauliflower rice and zucchini noodles. 18:30 Exercise 5 hours a week. This should be fun. Do something you like. It does belong last, because the other 23 hours of the day is what makes the biggest difference. The exercise is the icing on the cake. 20:30 I want you to picture somebody who's 30 pounds or more overweight but determined to lose some weight and start exercising. What do you say to that person about the type of workouts, duration and intensity while they are losing weight? -Need to find out why it failed before. Work with any physical limitations. Find out what she really wants to look like. Then implement a plan with baby steps. Make meaningful changes every week. Start with light exercise, and add just a little bit at a time. Ask lots of questions! Subscribe to the podcast in iTunes! 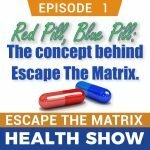 https://itunes.apple.com/us/podcast/the-escape-the-matrix-health-show/id1313550845 Right click here and save as to download this episode to your computer. Core supplements. Those you are likely to be deficient in. Functional supplements. You don't "need" it, but you could have measurable health improvements if you did. Age and gender specific supplements. 29:40 Principle 5: A touch of superhuman: nailing the right carb, protein and fat ratio. 33:50 Principle 6: Eat 5-9 servings of veggies and fruits every day. 36:30 Eat foods from farms, not factories. 39:49 Principle 7: Exercise 5 hours a week. Everything counts. Many experts now tell us the low intensity and high intensity are best, the in between stuff... not so much. Slow easy cardio is awesome, or HIIT, CrossFit, Insanity, high intensity dance classes etc. 45:45 These are EASY to do! This should give you a sense of confidence. Each is easy, try to do all 7 daily, and put time on your side to achieve your ideal body weight and increase your health! It's going to look boring, but it will work! Subscribe to the podcast in iTunes! 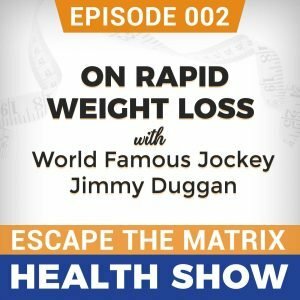 https://itunes.apple.com/us/podcast/the-escape-the-matrix-health-show/id1313550845 Right click here and save as to download this episode to your computer. Resources: formula7.me Book: The Slight Edge by Jeff Olson x2o (Xtreme Water) Makes water "wetter" and your body absorbs it better. Also alkalizes and mineralizes. Focus Up Natural energy drink and mental stimulator. 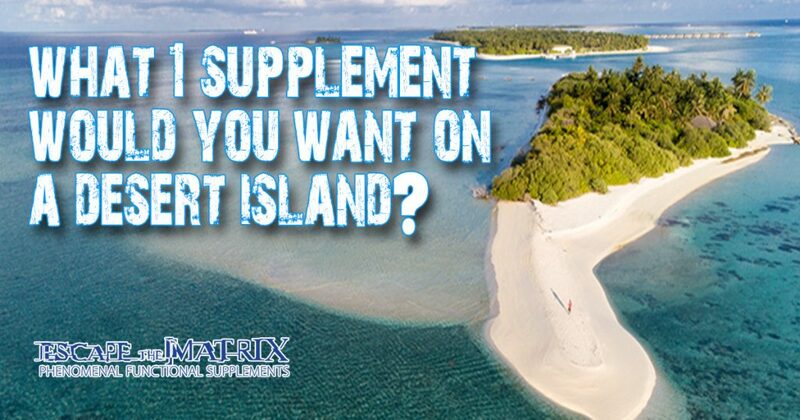 Supplement strategy article. Ultimate Green Smoothie video Body for Life by Bill Philips Link to article on carbs, fats and protein. The dirty dozen 12 most contaminated fruits and veggies. Intro, Jose's back story. Spearheading the fastest growing GNC in the nation for 4 years. Moving on the DAS labs and creation of Bucked Up! On workouts in general. 30 years ago a "workout" was perceived to be going to the gym and lifting weights... bench, squats etc., with long rest periods in between. Today, workouts are often high intensity (CrossFit, Zumba, HIIT, Insanity, Tabata etc.) and a lot of people are into endurance sports like triathlon, running, etc. Do you see a change in the way people workout today, and how they prepare for their workouts, compared to 20-30 years ago? 20:00 Intro to pre-workouts 27:10 Dave's epiphany on pre-workout and post-workout drinks. 31:46 Proprietary versus non-proprietary blends pros and cons 36:15 Pre workouts for different types of workouts 39:30 On creatine 41:00 Woke AF 41:10 On Caffeine 42: More on creatine 43:40 The Dirobi Pointless Game Show 51:14 On Intra-workout supplementation. Leucine and other amino acids. 53:15 Avoid cheaply sourced aminos made of duck feathers etc. 57:20 How much BCAA's? 1:02:20 Post workout supplements. Hormone free protein. Avoid the industrial food complex. Go for grass fed, hormone free, all natural products. 1:08:10 On caffeine. Sources, amounts, pros and cons. 1:22:40 On supplement industry critics. The power of 5% better. 1:25:16 Understand how much caffeine you take in daily. 1:26:19 Closing remarks. Learn more at www.buckedup.com #buckedupsupps jose@buckedup.com Click here to subscribe to the podcast in iTunes! Click here to download this episode and to listen on your computer. Dirobi owner Dave Sherwin has started the Dirobi Health Show! Episode one explains the concept behind Dirobi... red pill, blue pill. 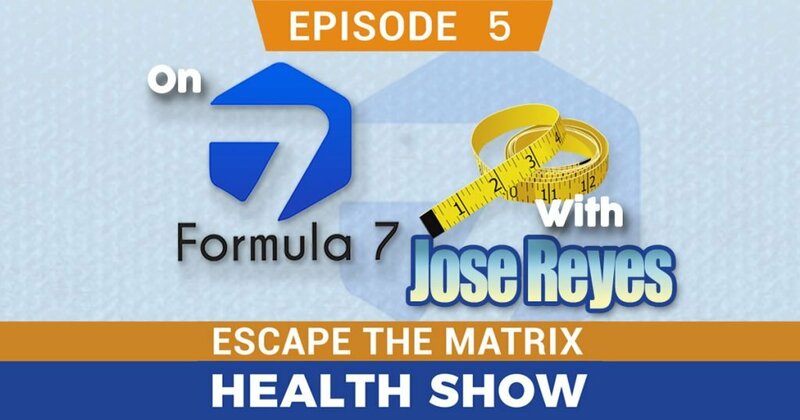 Inspired by the support questions and comments of tens of thousands of users, the podcast is designed to provide the latest in health information, myth busting, rapid weight loss tips, and support the information in Dave's book, Formula 7, Seven Simple Principles for Phenomenal Health. Subscribe on iTunes by clicking on this link. *** Reminder to our customers, your permanent 20% off coupon codes are... *** On dirobi.com SPYLTM20 Our Amazon store ETM20OFF Right click to download the episode. There’s a long-held belief that rapid weight loss is not sustainable. You’ve probably heard the standard 1-2 pounds of weight per week is the healthiest way to lose over time. You might also have heard that any rapid weight loss diet is “just a fad” and you’ll soon gain the weight back and then some. But recent studies and our own personal experience with those using our Pounds and Inches Drops have shown the opposite of these beliefs: losing weight quickly is a better solution for people who want long-term health and weight loss results. And recent studies bear this out. The following findings demonstrate real-world examples of rapid weight loss diets compared to the standard advice that losing more slowly is better. More people in the rapid weight loss group (81%) lost body fat than in the gradual group (50%). While a percentage of both groups gained the weight back after three years, there was MORE regain in people in the gradual group (71.2%) than in the rapid group (70.5%). Researchers found that the amount of weight lost initially did not have an impact on how much or how fast weight was regained. Summary: Rapid weight loss produced much better results and did not lead to more weight gain or problems down the road. Some women lost weight faster (1.5 pounds/week), some a moderate amount (½ to 1.5 pounds/week), and others lost slowly (less than ½ pound/week). Those who initially lost weight faster lost more overall than the others (an average of 30 pounds total), maintained the weight for longer, and were less likely to regain the weight than those in the moderate group. The faster losers were also five times more likely to have a 10% weight loss at the end of the 18 months than those in the slow loss group. Even the women who lost weight moderately fast were almost three times more likely to lose 10% of their weight than the slow group. Summary: Those who lost weight faster than expected kept the weight off longer and were less likely to gain it back. Those on lower calorie diets had much greater weight loss short-term and had the same rate of regain as the slower weight loss groups long-term. Believing small lifestyle changes make a bigger difference long-term is based on the idea that burning 3,500 calories equals a loss of one pound. But this is based on an old model actually involving short-term experiments done on men eating 800 calories or less. Recent studies actually show smaller weight changes based on the 3,500-calorie rule than we thought, since calorie needs change as someone loses weight. Losing the weight faster can make overall weight loss easier. Those who lose more weight in the first two weeks to a month of dieting also lose the most weight the next year. More rapid weight loss results equals less risk of giving up on a diet and affecting total success. Summary: The idea of slow weight loss from eating less over time isn’t as effective as we used to think, and more rapid results can mean better long-term motivation. These studies just go show that 1) rapid weight loss can definitely be more effective for losing body fat short-term AND long-term and 2) it doesn’t increase the chances of regaining the weight over time. So, WHY is rapid weight loss better? Below are the main reasons. Rapid weight loss reinforces quickly that what we’re doing is working. Having faster results can increase motivation to stick with the diet and continue to see better outcomes long-term. It’s just a fact of life that we expect quick results these days—and seeing them sooner rather than later can keep us moving forward. Basically, being able to feel and see the results of initial weight loss keeps us motivated. Plus, we don’t have to work as long to see the outcome of our efforts! There’s less risk of giving up altogether. While the calorie count of rapid weight loss plans might be very low, there are some benefits to this. It means carbohydrate intake is also very low, which often leads to higher satiety rates, less blood sugar swings, and less cravings. It also induces ketosis in the body. Ketosis is a state of metabolism where the body is burning fat instead of glucose, encouraging the body to drop pounds faster. As we lose weight, our body’s calorie needs also go down. This means we’ll need more of a deficit to continue losing weight. However, if the weight is lost more rapidly, it’s easier to lose it when weight is higher. This can make any additional weight easier to lose more quickly. This is why larger changes to behavior, rather than small ones, can be more beneficial at the beginning of weight loss journeys. Some doctors have warned that trying to slow down initial weight loss in obese patients could interfere with their long-term weight loss success. Intentionally slowing down weight loss can actually set us up for failure! Making gradual changes to your diet takes time, and it can actually be HARDER to make the changes if other habits are still in place. A rapid weight loss protocol helps us "reset" our metabolism and cravings with a clean slate. Once the weight comes off, maintaining the weight loss is easier than people think. It’s assumed that if you workout really hard and cut your calories to lose weight, you’ll have to continue at the same intensity to maintain it. But that’s not the case! Maintaining weight loss is simply about eating healthy, getting regular exercise, and eating the same amount of calories you burn each day. You’re no longer eating less for a deficit. So, the faster the weight is lost to get to this point, the sooner you can enjoy the maintenance phase. 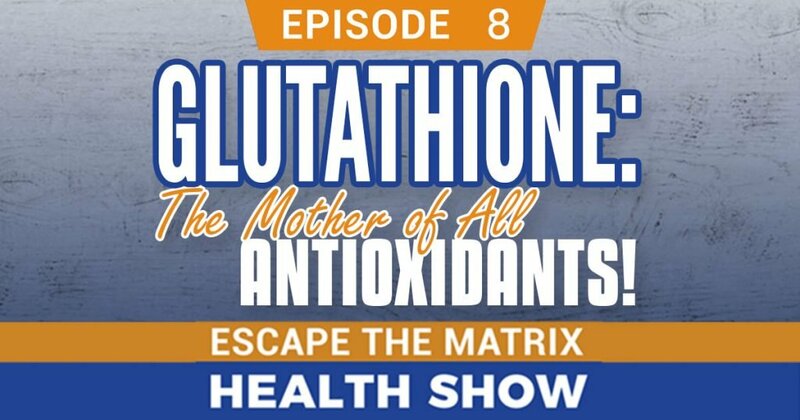 According to Pubmed.gov (the government’s website for research articles in the medical fields) There are over 100,000 articles about Glutathione! 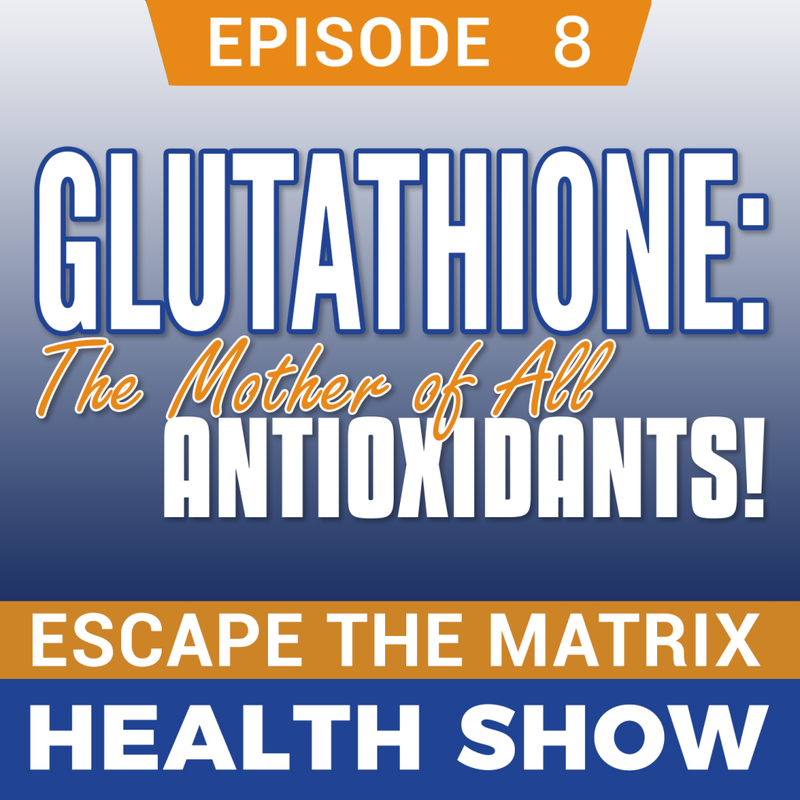 This is a huge number, and highlights just how important of a molecule Glutathione is. 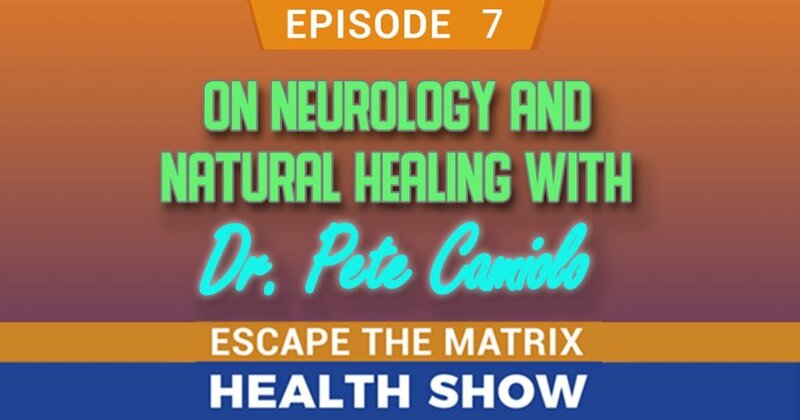 007 Dr. Pete Camiolo on Neurology, Natural Healing, and Achievement. Dr. Pete Camiolo is currently partners with Dr. Axe on the10xdoctor.com. He has worked with the US Olympic team and NFL players and other pro athletes. He currently helps natural care physicians to succeed in their practices. 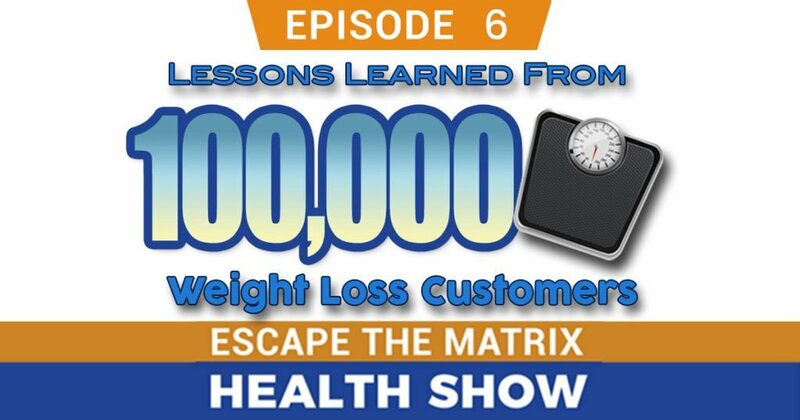 006 Lessons Learned from 100,000 Weight Loss Customers! Intro: These ideas took 7 years and over 100,000 rapid weight loss customers so hopefully there’s meaningful nuggets here that will work for you! 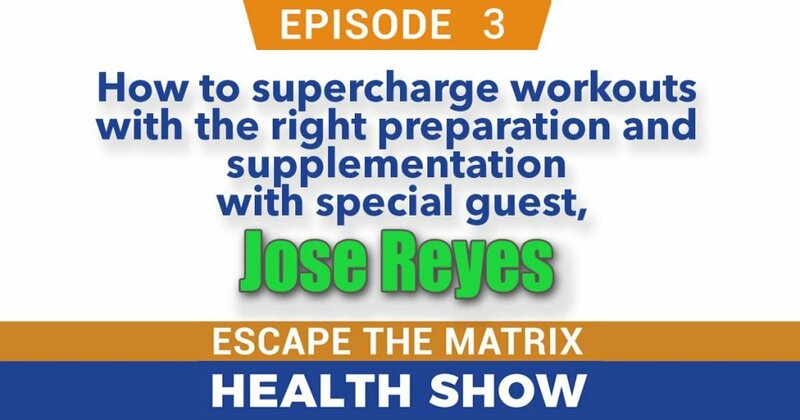 This episode was recorded when I interviewed Jose Reyes of DAS Labs in episode 3, but was too long to fit in that episode. I asked him about each principle in Formula 7, and he gave some great nuggets and ideas on each principle. So, I thought it would be best to break this out as a stand-alone episode. Enjoy! 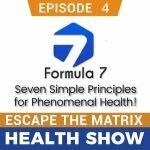 Podcast 004 Formula 7, Seven Simple Principles for Phenomenal Health! 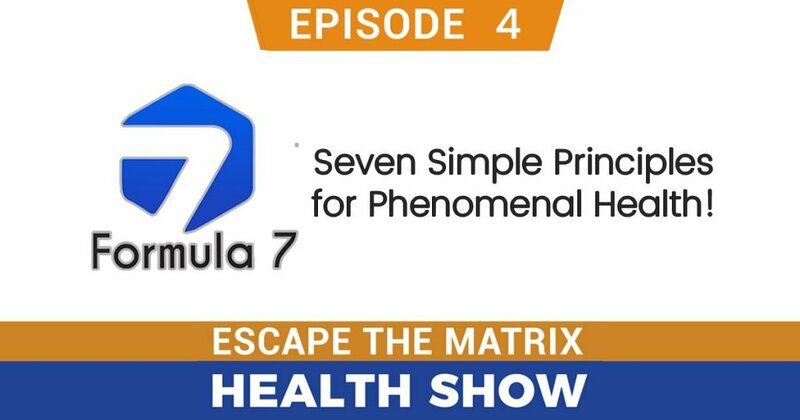 In this episode I explain the principles in the book “Formula 7.” These are the most powerful principles of health. They are easy to do, there’s no difficult diet or regimen, and they apply to anybody, old or young, male or female. If you want to achieve better health, lose weight, and gain more vitality and higher fitness levels, then this episode is worth a listen! Note that this information is presented as educational in nature and is not intended to diagnose, treat, or cure any disease. Intro, Jose’s back story. Spearheading the fastest growing GNC in the nation for 4 years. Moving on the DAS labs and creation of Bucked Up! On workouts in general. 30 years ago a “workout” was perceived to be going to the gym and lifting weights… bench, squats etc., with long rest periods in between. Today, workouts are often high intensity (CrossFit, Zumba, HIIT, Insanity, Tabata etc.) and a lot of people are into endurance sports like triathlon, running, etc. Do you see a change in the way people workout today, and how they prepare for their workouts, compared to 20-30 years ago? He completed over 3500 races, winning 311. 1 in 10 mounts falls in a race, from a height above 5 feet at 30-35 miles an hour. Jimmy has between 400-500 falls in his career. Jimmy is also a well known face on American television, as the voice of steeplechasing and the leading steeplechase analyst in the country on TGB which broadcasted to 51,000,000 homes through their affiliation with Fox. The Dirobi Health Show Podcast! Dirobi owner Dave Sherwin has started the Dirobi Health Show! 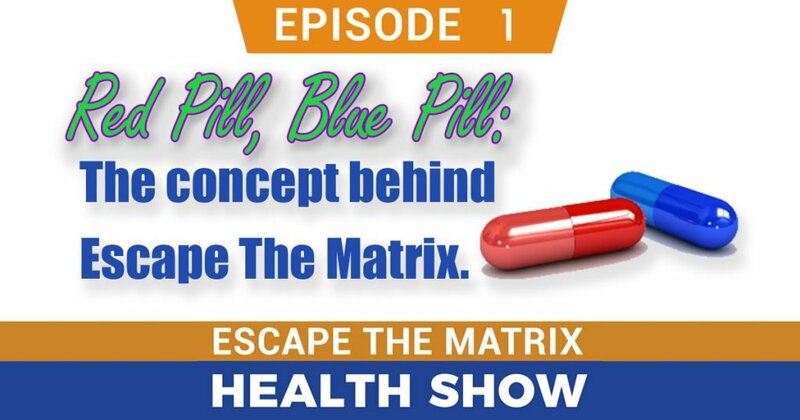 Episode one explains the concept behind Dirobi… red pill, blue pill. 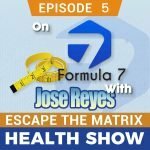 Inspired by the support questions and comments of tens of thousands of users, the podcast is designed to provide the latest in health information, myth busting, rapid weight loss tips, and support the information in Dave’s book, Formula 7, Seven Simple Principles for Phenomenal Health. 047 Studies Prove Rapid Weight Loss Beats Slow Weight Loss. There’s a long-held belief that rapid weight loss is not sustainable. You’ve probably heard the standard 1-2 pounds of weight per week is the healthiest way to lose over time. You might also have heard that any rapid weight loss diet is “just a fad” and you’ll soon gain the weight back and then some. But recent studies and our own personal experience with those using our Pounds and Inches Drops have shown the opposite of these beliefs: losing weight quickly is a better solution for people who want long-term health and weight loss results. And recent studies bear this out.